Dedicated to empowering the maker Cluster is a no-nonsense art fair, cutting out gallery middle men and dealing directly with creatives to showcase their creations. Since our inception Cluster has grown roots. Like a network of mushrooms we’ve popped up across a series of exceptional London venues, showcasing the freshest of talents before anyone else knows who they are. 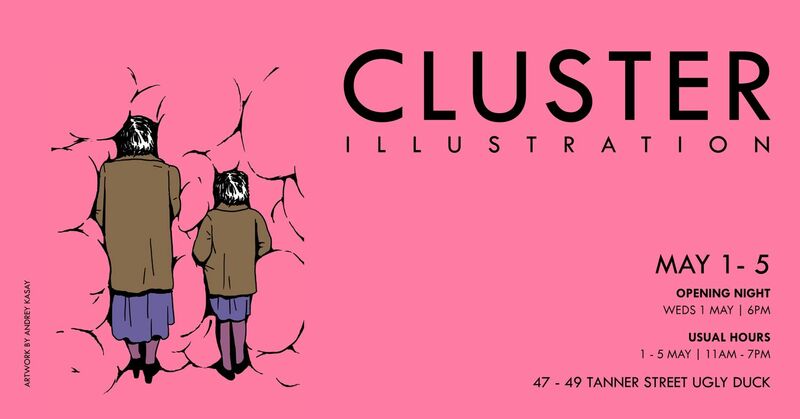 To celebrate we’re beginning 2019 by throwing our largest fair to date, pulling the threads and gathering the talent to fill to the brim three floors of atmospheric warehouse interiors at 47/49 Tanner Street. Dedicated to empowering the maker Cluster is a no-nonsense art fair, cutting out gallery middle men and dealing directly with creatives to showcase their gifts. We don’t limit ourselves, indulging in all forms of artistic output, from printed multiples to singular ceramics, from meticulous jewellery to ceramics, expansive canvases illustrations and the finishing accessory. 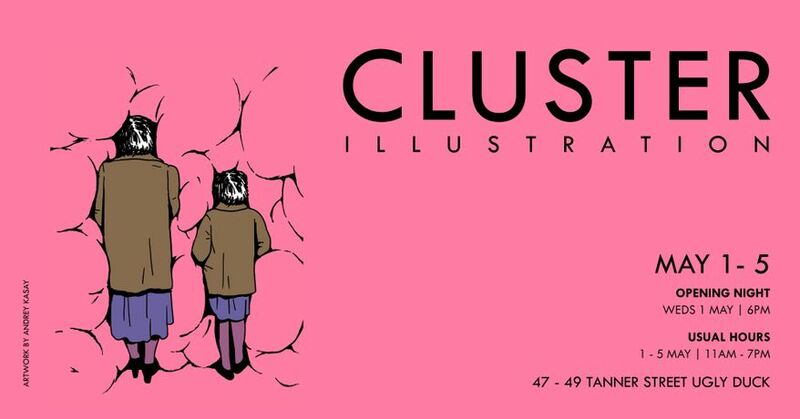 Cluster is the formation of a close knit community of artists, a visible energy of productivity flowing out the window and exploding with luminosity. We are the moment of metamorphosis, breaking out of the studio and into the public eye. You’ll find offbeat examples from the fields of Craft and Illustration, each spanning across one of three floors, an expansive treasure trove to delve into. And for the creators out there, we’re a fourth space, The HUB, which will be filled each and every day with back to back workshops, screenings and talks. Creating a space to socialise, network, learn, absorb, make, test, learn, buy and sell.